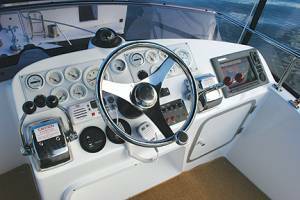 New CARIBBEAN 27 with Single or twin Petrol or Diesel Sterndrive/s? OR twin Outboards?. 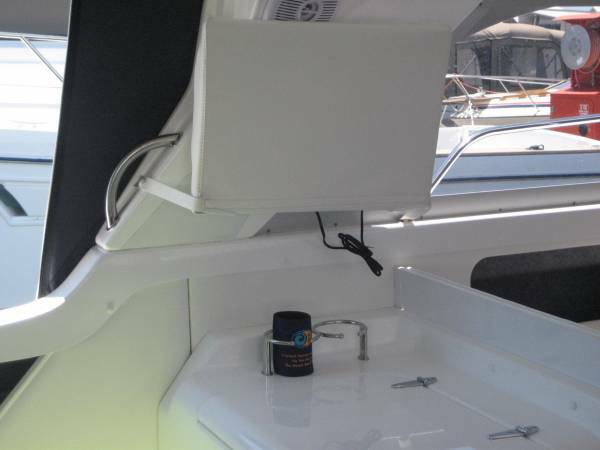 Your new Caribbean can be customised by Mansfield Marine to suit a variety of uses. Deep sea fishing/family cruising/weekends away/Game Fishing, or socialising around the marina. 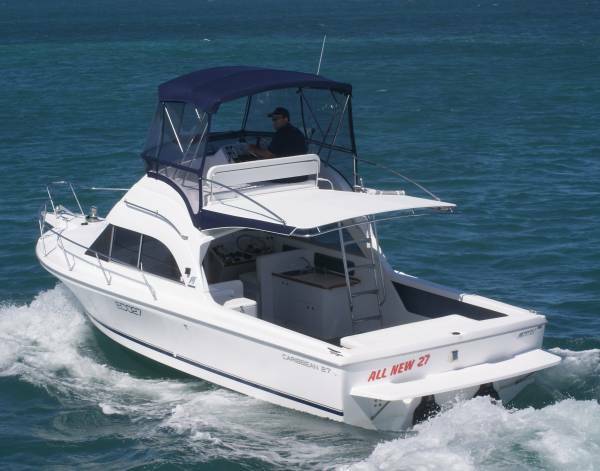 This is a very practical, great performing boat that will suit your whole family. You won't find a 27ft with more deck space. 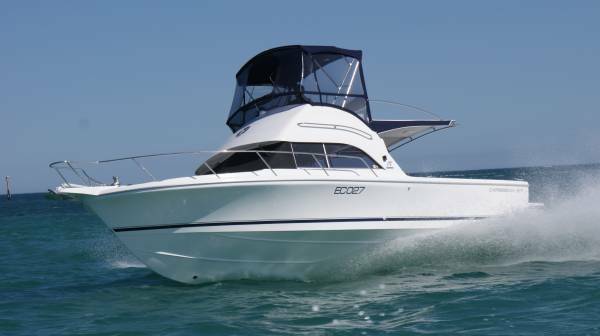 We challenge you to find a better value 27 foot boat of this quality and capability in Australia!! Coming from a builder International Marine, that has built 50,000 boats in the past 50 years. Australia's pioneer GRP production boat builders. The 27 is wider, longer and hard to imagine, but even better than the 26 she has replaced. The goal when this boat was designed was to keep the whole family happy. With more than 7m2 of cockpit space, more fuel and water than before, new modern lines and with 50 years of builders heritage she is hard to beat. 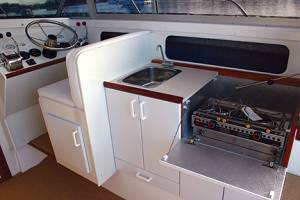 The full galley, with stove, sink and Icebox, convertible dinette and huge fwd cabin this boat leaves you wanting for nothing. 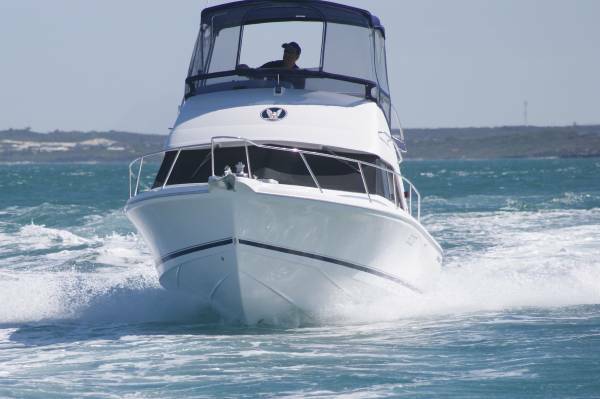 The Twin 4.5 ltr 250hp V6 MPI's Give 40+ knots and a very economical 25 knot cruise. If you want to customise the layout of your new 27, then we can it all for you. Have it exactly as you would like it! Note: Petrol dual station boat priced, you can delete the lower station with and take a $1900 credit on New Boat orders. Perth WA delivery charges ( from Melbourne) and additional options cost apply and are in addition to the above quoted price. Call Travis Mansfield on 041199560 or Coby Mansfield on 0418958658 for more info on any Caribbean model. MERCRUISER DTS 2 x 4.5 ltr 250HP MPI PETROL Mercruisers with Bravo one Drives. 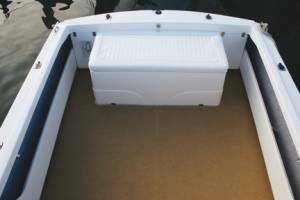 Engine room: Tilt access engine hatch ( Electronic throttle and shift, single levers now!) OR single or twin DIESEL, OR twin OUTBOARDS!! 2 + 2 in fwd cab plus convertible dinette. Convertible engine hatch optional. 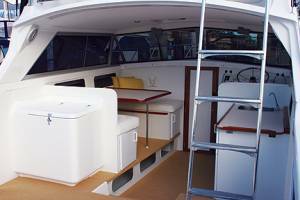 Canvas Bimini on stainless steel frame and flybridge cover. 6 x Lifejackets, 2 x Fire extinguishers and offshore flare kit. Comprehensive instrumentation, Dual 70AH batteries wth isolating switch, Bilge blower, auto bilge pump, elect pressure water system, fuel gauge and HR meters, 12v lighting, 12v anchor winch, AM/ FM CD player with 2 x speakers. The all new 27 is also available as a Runabout ( IE no Flybridge). Note: Some of the features on the displayed boat are optional extras.
" THE BOAT THE EXPERTS BUY"